#TashOnTour – commutes; conferences and collaborations. It has been a real delight to be part of #TashOnTour and share much of your time over here in the UK this past 2.5 weeks. Reflecting on how we even got here, it’s a marvellous achievement of connecting socially and building trust; working together and being a bit brave (in our case anyway). We began many weeks ago through Skype and digital messaging and eventually the time came around. We were both excited about meeting up yet you faced that arduous 35 hour marathon journey. Driving around to collect you from Wellingborough station that Sunday morning was a really cool experience. Finally meeting up and having that breakfast with you on the patio with Mrs T will be a lasting memory for me. Trekking into the centre of little Wellingborough to sort your SIM card out, buy some shoes and the stock up on Boots make-up was fun. Pub grub and watching Murray win Wimbledon was kinda cool too. Then reality bit. Early start for our first day at CIPD HQ in Wimbledon and the now famous 7 trains thing. Then no sooner had we done that day, than it was early to rise AGAIN for the OD Conference. That was an interesting experience in more ways than many and I think you made some good friends that day with Rob Jones, Sukh Pabial and who could forget Professor Eddie Obeng? You had a more restful last day in Northamptonshire before moving onto your London pad and we had one of those working breakfasts with 2 laptops set up across from each other and not much physical chatter. You settled into London life and before we knew it we were back on the conference trail at IBM HQ and the Social Organisation conference. That evening also saw the world’s first #TashUp. You met too many names to mention here but Michael Carty, Mervyn Dinner, Cassie Lloyd-Perrin and David D’Souza amongst them. We will try and forget your home via Elephant and Castle experience shall we? You eventually got back safely that evening. A whirlwind week ended with (as I recall) a day where you did some sightseeing in the sun. Much needed rest from commutes; conferences and collaboration. Week 2 though began with ANOTHER early train – this time with me to Sheffield Hallam University and meetings around that in old cinemas, old pubs and a spanking new Business School. Conor Moss provided some summertime inspiration and chat and we then headed to the first ever NW #TashUp. Damiana Casile, Ian Pettigrew, Gemma Reucroft, HR Tinker, Mike Collins, and Catherine Wilks were great hosts in the Manchester sun. Especially Damiana offering her flat as an overnight stay after our 23rd floor drinking experience at the Hilton. You and I travelled back to London together and I think much needed rest. You did a little more connecting with folks, some work for me (!) and some resting and I know you were missing your XY and your home comforts but you soldiered on in the soaring temperatures. We then did the Trainer’s Kitbag property trading game and my what a day around London that was. You won, you blogged you conquered London. Such a hoot. You managed to take in a show (Wicked which is, well wicked) and then the time came for us to say goodbye. I am drafting this ahead of seeing off on the Heathrow Express for home so I will complete this note hoping I said all this to you before you departed. It’s been such fun plotting and making this happen. I wouldn’t have changed a thing about it. I have a true friend and collaborator in you. Despite our total differences in what and how we do things, you and I share a passion for what we do and now having our experience to look back on has cemented that. I have loved the reaction from the folks over here. You were Miss Popular and rightly so – celebrity-like status was adorned on you. You were really brave cooking all this up and coming over – I was happy to help make it happen but you did the truly hard graft being so far from home comforts. Thanks for the most #Tashtastic experience I’ve had in years. Safe trip and big respect. #PunkHR – The fallacy of Engagement scores and the story of the Motown empire. 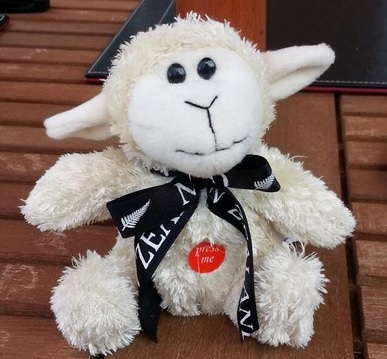 So #nzlead has done it again. Inspired by the general dischord or bemusement at how the employee engagement agenda has gone, we need a different take already here. So I thought I would share the tale of a hyper successful organisation against all of the odds where people were rarely, if ever, engaged with the organisation. Some context. 1960s racially tense Detroit, Michigan. Young songwriter and ex-boxer Berry Gordy Jnr borrows $800 from his family to set up Gordy records.He secures some great songwriters, singers, musicians and business people from across Detroit and its emigree population from the Deep South. His first million seller “Money (That’s What I Want)” by Barrett Strong sets him up. From a converted house in the suburbs of Detroit he discovers Stevie Wonder, Marvin Gaye, Diana Ross and eventually Michael Jackson. Now this is not about Motown’s success as a record label. It is an enterprise that made a lot of money. The irony of the first million seller is not lost here. 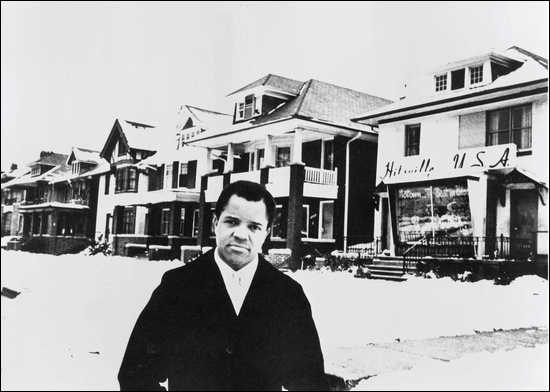 Money was one factor in what made Berry Gordy tick, the other was building a successful black owned business in a predominently white American world. So how did he make this so? And what lessons can we take from this success all those years ago that is relevant to now? Particularly relevant to engagement in the workforce today. I will start with some of the fundamentals of what being part of the Berry Gordy Jnr empire was all about. It was about success so here’s the first example. The all important “house band”. Vital to the core of Berry’s vision was the need to have consummate musicians to create the sound he tagged “The Sound of Young America”. Berry knew that this was about tapping into the affluenza that was young white Americans. Post-war liberation on finances and fun. He hand picked the best of Detroit’ls jazz scene to make up his vital core sound. They weren’t highly paid and received no recognition yet they performed time and again. Why? Because they were masters of their craft. Music. An engagement survey would have shown these guys to be disaffected,hard done by individuals who were ruled with an iron fist and who had to moonlight in jazz clubs to make ends meet. Yet they performed because they wanted to for themselves and their craft. Secondly, he found passionate and hungry vocalists. One such group was the Andantes. Who provided backing vocals for huge numbers of Motown hits. Again, no credit but they were consummate background artists who did what they did because it was their version of success. Part of something special. Thirdly, he found writers so poetic of wordsmithing, so eloquent of pop-phraseology that they churned out hit after hit because they loved what they did. Only further down the line did they take to the courts for recompense over royalties. During the heyday, Brian and Eddie Holland, Lamont Dozier, Clarence Paul, Harvey Fuqua, Smokey Robinson, Norman Whitfield wrote song after song because they loved and believed in what they did. Fourthly he found the front-of-stage performers perfect for the new blend of R&B and Pop like Marvin Gaye, Stevie Wonder, Diana Ross, Martha and the Vandellas, The Temptations, The Four Tops – who would define the sound through empassioned vocals and energetic performing brilliance. Berry Gordy Jnr combined their talents and desires to better their lives with that of shrewd accountants, publicists and marketers. They made money hand over fist. He had dogmatic production principles. Playing the sounds over tiny speakers at quality control reviews revealed hit after hit. Yet only 1 in 4 made it out as he stringently put out only the best. He pitted artists against each other for the right to release a song which is why so many Motown artists covered each others songs. He wanted only the best of the best. So back to engagement. Was this powerhouse thinking, blissful-appearing state of affairs an engagement pro environment? I know it wasn’t as much as I wanted it to be, American dream? In part. It was a hotbed of talent outbursts, of egos, of challenges, of tension, of dischord but ultimately of channeled energy and skill. 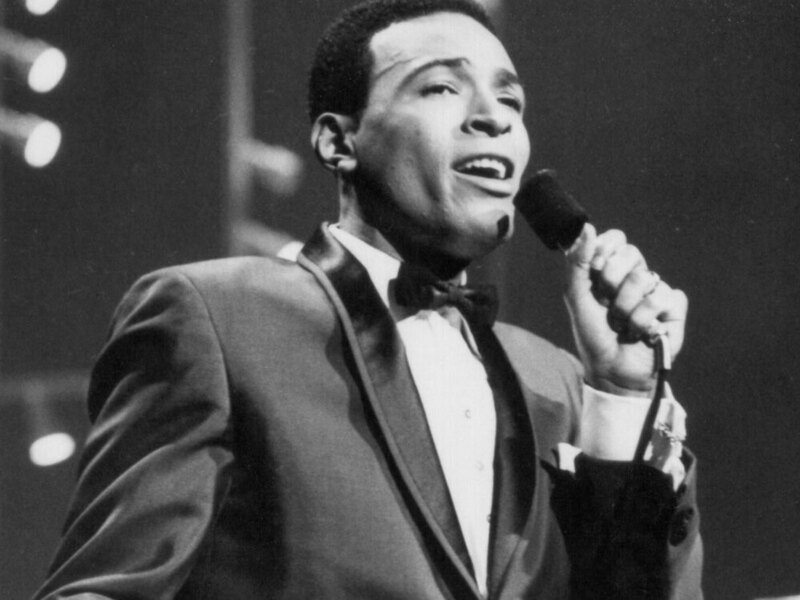 Take Marvin Gaye. Self confessed doo-wop crooner. Yet Berry saw him as a pop superstar. In order to realise that, he asked his songwriters to script his tunes an octave higher than his preferred range to force him to sing in a popular style to songs Berry knew would sell. Marvin hated much of what he had to record but loved that adoration that came with it so Berry won out on stimulus greater than pure craft. Marvin realised that this was his key to success and went along with it despite his view on wanting to become the “Black Sinatra”. lawsuits from other writers in the 1970s. Then take Diana Ross. Not even the best vocalist with the Supremes, Berry insisted songs be written with her vocals in mind and rumours of a relationship with Berry never stopped that hit machine from becoming his banner act.He knew she had style and panache that would make Motown money. And it did. Some of Motown’s biggest hits were from this arrangement. And he broke the supper clubs and Vegas which meant Motown had a footprint in the more mature markets who had money to spend on records and concerts. So again, back to engagement. Berry ruled with his rod of iron – contrary to a lot of what I believe leadership should be all about. However, in the climate where Black businesses were few and far between, he provided a beacon of hope for a new Black middle class that eventually came to be. Were his staff engaged in Motown Inc? Not really. In some cases, not at all. Did they tolerate this and perform in spite of this? Absolutely. Did they garner success they craved and money and a better lifestyle? Arguably, yes although the Funk Brothers (house band), the writers and the backing singers (Andantes) got less than they really deserved but STILL outperformed and delivered. They were clearly engaged but for other reasons than Motown inc. So my message here is engagement scores and indices are a falsehood. People are engaged in what they do BECAUSE OF WHAT IT DOES FOR THEM is my assertion. For whatever reason they are engaged in delivering and no matter how the organisation tries to convince themselves it is because of their employer brand. When it suited the Motown artists, they went with the brand, It was a whole lot about their love of what they did and Motown just happened to give them exposure, finances and airplay – literally – for what that was. That no one has probably ever heard of Jack Ashford (vibes), Benny Benjamin (drums) or James Jamerson (bass) is a sad fact BUT they have written and etched their mark on musical history with “Nowhere To Run”; “Standing In The Shadows Of Love” “My World Is Empty Without You” and “…Grapevine”. You – as a workforce participant – can and SHOULD be engaged in what you do. What you love. What you were born to do. Many organisations are kidding themselves that is they who you love. Maybe in the NHS you love the part of something amazing. I have recently experienced palliative care workers who humble me beyond words. Is it their hospice they are engaged in? I cannot say for certain but I think they are engaged in the dignified and caring support they provide to people who are at the end of their lives. So WHY OH WHY are we obsessed with a score on being engaged in WHO we work for? Ask not what you can do for your workplace but what your workplace can do for you to get the best around you so you become the master of what you were born to do. So many Motown artists I adore have passed, and despite the dogmatic, ruthless organisation they worked for, they left me with such musical, symphonic joy I cannot thank them enough. They didn’t get moved by a poxy score on a chart. They were moved by what they loved doing and the love they spread with that expression, craft and endeavour. So dont insult me Employer PLC by being pleased with a 2% uplift. Just let me be brilliant – all the time, individually and collectively,so I can feel joy about the difference I make. Want to engage me? 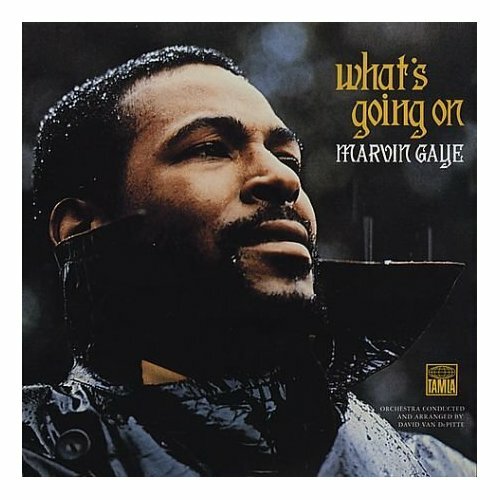 Let me be Marvin Gaye recording “What’s Going On?”.